You probably know that your company’s private branch exchange (PBX) system is essential for smooth communication. But do you realize all the burdens of managing it onsite on your own? You need to invest in the right equipment and stay on top of upgrades. Administration tasks are tedious. And when problems arise, productivity can plummet. But there is a way to sidestep all the headaches and hassles. The exact solution you need. Our solutions for VoIP are tailored to meet your needs—from easier employee onboarding to more streamlined communication processes. Greater efficiency and productivity. Don’t get tripped up with outdated phone systems. Let us help keep the conversation moving with improved of communication on all fronts: in-office, intra-office, and outside the office. The latest innovations. Why settle for second-rate features? 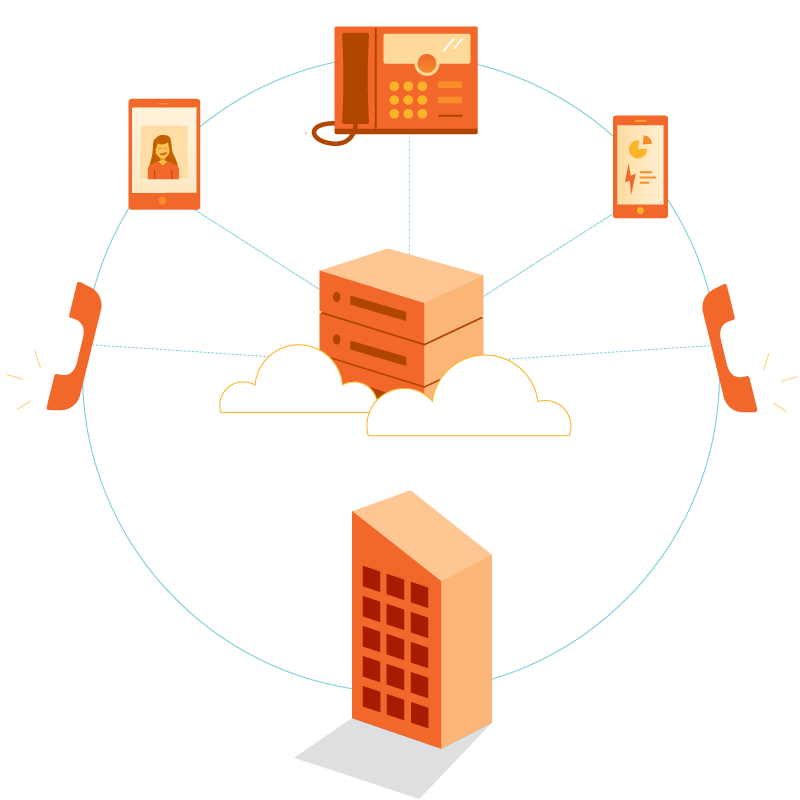 With our hosted VoIP, you’ll have access to flexible, secure, and feature-rich phones. Cost savings. Save right from the start with only minimal hardware required outside of phone equipment. Reliable management. Free up your IT team and leave the daily administration to us. We’ve got your VoIP components covered at all times. Let us know a good time to reach you and we’d be happy to connect! Now is the time to move to the cloud—and move forward with flawless scalability, business agility, and business model innovation. We understand the transition can be intimidating. That’s why cloud services with Office1 are custom designed for your individual needs.